HydraFacial is a multi-step treatment that both exfoliates and hydrates your skin. The HydraFacial combines deep cleansing, exfoliation with a gentle chemical peel, painless extractions, and the delivery of antioxidants and peptides to hydrate and give your skin a youthful, refreshing glow. HydraFacial is a noninvasive, multi-step treatment and is not painful. Every HydraFacial treatment includes LED therapy, and we also offer boosters for collagen, pigment, and rosacea. Treatment often lasts around 45 minutes. This treatment is often referred to as a “lunchtime” procedure because it is fast and has no downtime. Typically, you can expect to see results immediately. While you will notice an immediate increase in the vibrancy and youthful appearance of your skin, multiple treatments may actually restore the overall health of your skin. Some patients may experience one flushing in their skin that typically lasts no longer than 30 minutes. Based on your skin consultation, your aesthetician may recommend multiple treatments on a regular basis to achieve the best, long-lasting results. Most everyone is a candidate for HydraFacial because it is effective for all skin types and tones. It is even safe for people who suffer from rosacea! 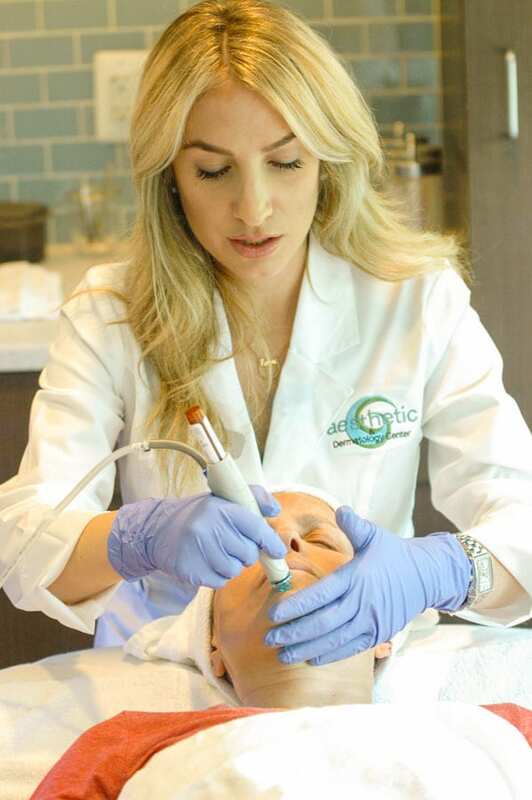 Before treatment, you and your aesthetician at Aesthetic & Dermatology Center will discuss your health history and your cosmetic goals to determine whether HydraFacial is an appropriate treatment for you. If you want to know more about how HydraFacial can give you a youthful, healthy glow, call our office today at (301) 610-0663 or request an appointment online.